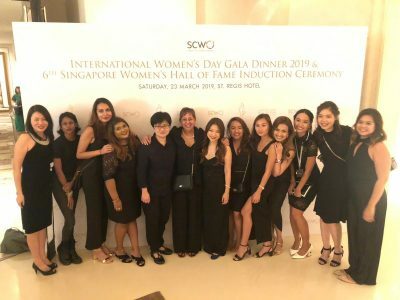 Every year, the Singapore Council of Women’s Organisations celebrates International Women’s Day with immense exuberance – this year was no different. 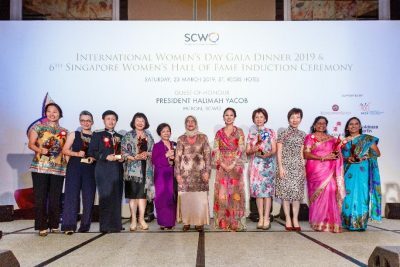 Held at the St. Regis Hotel on the 23rd of March, the International Women’s Day (IWD) Gala Dinner and 6th Singapore Women’s Hall of Fame (SWHF) Induction Ceremony was indeed a special night where eight outstanding women were inducted to the Hall of Fame. The ballroom was buzzing with immense female pride, with guests arriving in their glitzy gowns and traditional multi-coloured outfits. 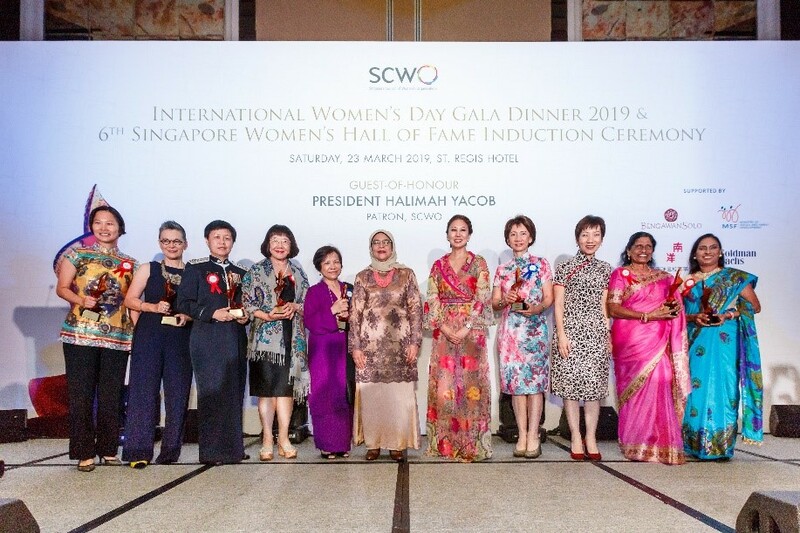 Very much like the fabric of our society, it was a night that brought together women from all walks of life in Singapore who were collectively celebrating the achievements of women pioneers. GLORY BARNABAS, whose running career began unexpectedly in 1963 when she was a trainee teacher. She went on to win numerous medals at the South-east Asian Peninsular Games and Asian Games in the 60s and 70s. There were cheers from the crowd when these remarkable women received their trophies, and the room filled with prideful dynamism in honour of these women and their achievements. Many would agree that their achievements serve as inspiration for all women and Singaporeans, and milestones for the future generations to come. SPS A/Prof Muhammad Faishal Ibrahim, President Mdm Halimah Yacob, and Dr June Goh launching the “Seeds of Change’ fund. The night was even more special for SCWO as it was also the launch of “Seeds of Change”. Supported by the Ministry of Social and Family Development Office for Women’s Development (OWD) and administered by SCWO, the new fund has been set up to support women’s organisations to pilot or scale up women’s development programmes. The energy in the ballroom that night was truly electrifying and was further uplifted when the children of Academie of Stars took centre stage. They regaled the crowd with their alluring voices and sheer talent. Once again, the SCWO IWD Gala Dinner and SWHF Induction Ceremony had fulfilled its purpose – to bring our members, donors and supporters together in mutual celebration while honouring the contributions of remarkable women to Singapore’s history and growth. We look forward to celebrating more women next year as we continue to tirelessly work towards the tenets of “Equal Voice, Equal Space, Equal Worth”. Please click here for more information on the Seeds of Change Fund.